How "Roma" departs from other Hollywood foreign language darlings like "Crouching Tiger, Hidden Dragon". The Oscars ceremony this year will feature a wide diversity of films in terms of ethnicity and culture, continuing a possible trend of Hollywood celebrating more and more films from outside of the United States. Alfonso Cuarón’s Roma appears to be one of these films. Shot in Mexico with a Mexican cast and told primarily in Spanish and Mixtec, numerous American publications have selected it as one of 2018’s best films. It has also earned over 10 Academy Award nominations— including a Best Actress nomination for Yalitza Aparicio, which is the first nomination ever given to a Mexican Indigenous woman. These nominations, in addition to Roma’s growing list of awards and accolades, seem to confirm its place as a non-Western film that has been widely successful in Hollywood. However, is Roma an authentically Mexican film? Or is it simply an American film told through a non-Western lens, as has happened in the past with successful foreign language films? To determine this, we must consider the film’s cast, the intended audience, and the vision of director Alfonso Cuarón. 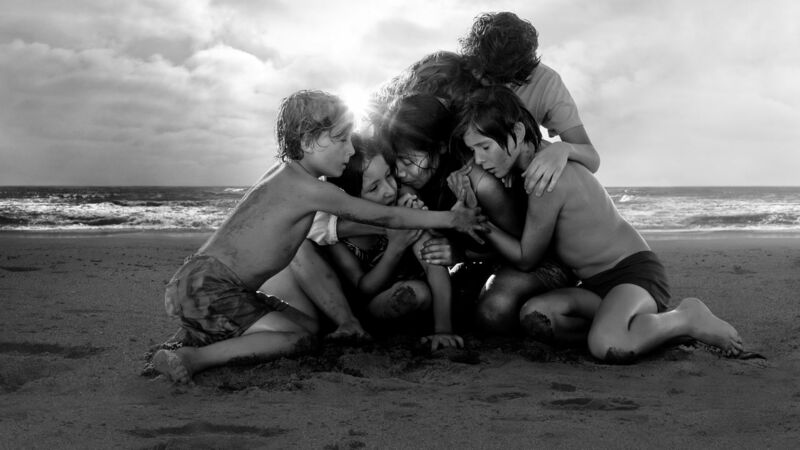 Roma is a notable film, not only for continuing Alfonso Cuarón’s cinematic legacy, but also because it appears to be a non-Western film that has been embraced by American audiences and critics. In the context of this article, a “Western” film is one that is made by and for people of Western culture, primarily the United States, and is largely driven by the tastes, preferences, and culture of Western audiences. However, Hollywood, and Western culture in general, can act as a melting pot for filmmakers — many films adopt perspectives and stylistic tropes from other cultures while remaining fundamentally Western at their core. Some key examples of this are Slumdog Millionaire and Crouching Tiger, Hidden Dragon. Though Slumdog Millionaire was filmed largely in India with an Indian cast and nearly 30% of the film’s dialogue is in Hindi, it was directed by British director Danny Boyle and was met with a good deal of controversy in India, despite its success among Western audiences. Similarly, though Crouching Tiger, Hidden Dragon featured an ethnically Chinese cast and was filmed entirely in Mandarin, it was an international co-production that involved several major American production companies, such as Columbia Pictures. As it was largely intended for an American audience, it was a huge hit in the West, while film audiences in Asia were not as impressed. As Crouching Tiger, Hidden Dragon and Roma are currently the only foreign language films to have been nominated for 10 Academy Awards, drawing comparisons between the two will likely be inevitable. In light of this, the question remains: does Roma represent an authentically non-Western film? 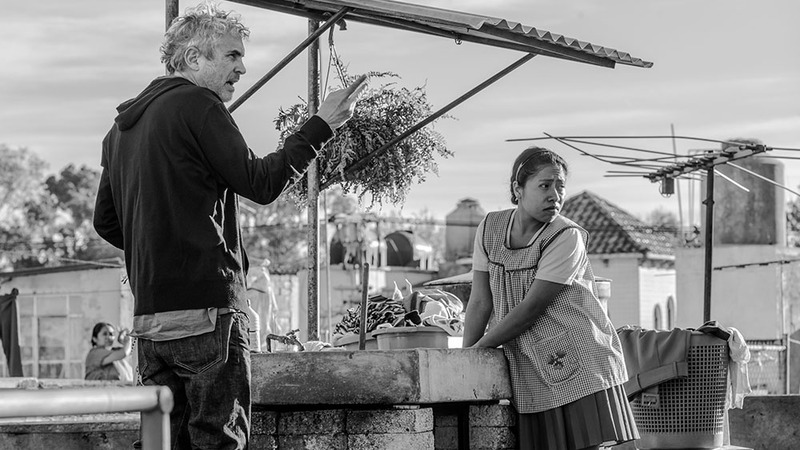 Alfonso Cuarón and Yalitza Aparicio (Courtesy of Netflix). As mentioned above, Roma was filmed in Mexico by a Mexican director and features a Mexican cast. This is no different than Crouching Tiger, Hidden Dragon, which was filmed in China by a Taiwanese director with an ethnically Chinese cast. However, while Crouching Tiger, Hidden Dragon used famous, internationally recognizable actors, Cuarón’s cast is the opposite of this. After spending nearly a year casting the film, he eventually hired Yalitza Aparicio for the lead role of Cleo, the live-in nanny and the protagonist of Roma. Aparicio had never had any acting experience prior to this; in fact, to help Aparicio feel more comfortable, Cuarón decided to cast her best friend Nancy Garcia as Cleo’s best friend Adela. Marina de Tavira plays the other main role in Roma, the part of Sofia, the mother. De Tavira is a well-known theatre actress in Mexico and has been in several films, yet she was largely unheard of in Western movie culture before Roma. By choosing the cast of Roma based on how well they matched his vision as a director rather than on their popularity among Hollywood viewers, Cuarón clearly demonstrated that the focus of the film was on authenticity and accurately depicting his vision of life in Mexico in the 1970s, rather than simply going for star power and catering to the tastes of the West. When determining if Roma represents an authentically non-Western film, it is necessary to consider the film’s production company and its distribution. Roma was produced by Participant Media, a Canadian film company that specializes in “entertainment that inspires and compels social change”. Though technically a Western film company, this does not necessarily make Roma any less authentically Mexican, as Participant Media has produced several films from outside of Western movie culture, such as Neruda, Arna’s Children, Cesar Chavez, and State 194. However, the fact that Roma was released nearly exclusively on Netflix does raise some questions. The main question that emerges when considering Netflix’s distribution of Roma is one of intended audience. While Netflix is used throughout the globe, US viewers still account for nearly 75% of its viewing audience as of 2018. Additionally, though Netflix has been featuring a good amount of non-US original content recently, Netflix has dubbed much of its foreign content in English as an intentional strategy to cater to its American audience. This seems to point towards the “melting pot” effect, as foreign content is being forcibly and increasingly Americanized. However, Roma departs from this trend. Netflix released Roma in Spanish with subtitles, despite that broader movement towards English dubbing. This is a significant testament to Cuarón’s desire to keep his film authentically Mexican. A shot from Roma (Courtesy of Netflix). This desire to make an authentically Mexican film stems from Cuarón’s main goal: to accurately portray memories of his childhood. This is one of the ultimate reasons that Roma stands as a distinctly non-Western film. Many of Cuarón’s artistic choices stem from his desire to authentically and realistically depict his experiences and the way that he viewed his own nanny as a boy. Among Cuarón’s many decisions as a director, two of the most evident are the lack of a score and the lack of a driving plotline that follows conventional narrative tropes. Both of these choices depart from the formulas of many Western blockbusters, yet are essential to the realism of the film. The slow pace in the first half mirrors real life, while the lack of a score is used to accurately convey the sounds of Mexico City. Both choices add to the film’s immersive nature and again mark it as distinctly Mexican. Cuarón’s depiction of historical events, such as the Corpus Christi Massacre, are another factor that adds to the sense of authenticity that is present throughout the film. In a complex extended take, Cuarón recreates a true event in Mexican history in a way that does justice to the tragedy without sensationalizing it. This again displays Cuarón’s desire to create an authentically Mexican film, and places the viewer in the middle of that event. With Roma, Cuarón has essentially created an exercise in empathy. By painstakingly crafting a world that feels real enough to touch, he allows viewers to enter the lives of a Mexican family living in the 1970s and the empathy that is generated rings real and true. Even though the first half of the film moves slowly and Aparicio speaks few words, Cuarón enables us to truly identify with her and the other characters in the film. They feel real to us and we connect with them. The ability for viewers to connect with the film is an important part of why the Roma has been such a hit, not only in the West, but also in Mexico and all throughout Latin America. Roma has been viewed on 50% of all Mexican Netflix accounts and theatre screenings have been in very high demand in Mexico – the film was even shown in Los Pinos, making it the first film to ever be shown inside the country’s formal presidential residence. Additionally, on February 2, Roma won the award for the Best Latin American Film at Los Premios Goyas, the main Spanish film festival held in Seville. Roma has also had socio-political ramifications in Mexico – the celebration of Indigenous actress Yalitza Aparicio has initiated a number of discussions regarding discrimination and racism towards Indigenous peoples within Mexico. The impact that Roma is having and the degree that the film resonates with viewers in Mexico confirm its position as an authentically Mexican film. Though Roma does represent an authentically Mexican film, it is worth considering whether this question is even worth asking. In our increasingly globalized world, it may not be necessary or even possible to make a binary distinction between an American/Mexican or Western/non-Western film. The lines between Western and non-Western are becoming increasingly blurred, which can be seen in the diverse array of Oscar nominations and Netflix’s global reach. This blurring of cultural boundaries may be a key reason as to why Roma has been able to gain Hollywood acclaim as a distinctly non-Western film. A continually globalizing world provides opportunities for international content to be shared with a wider audience than ever before, while simultaneously allowing directors to showcase their culture in a way that is genuine and true. This requires finding a balance between films that may exoticize elements of non-Western culture, such as Slumdog Millionaire or Crouching Tiger, Hidden Dragon, and the English-dubbing of films, which strips international content of a defining element. Roma finds that balance through its accurate depiction of a period in Mexican history and through Cuarón’s desire to make a truly Mexican film. Though Netflix may insist that American viewers prefer English-dubbed content, Roma‘s success may be a powerful catalyst for the US distribution of international content that tells authentic, unadulterated stories. In this way, Western viewers can celebrate films that are truly rooted in a more diverse set of global cultures. Kieran Davey is a Canadian freelance film writer and a lover of cinema. Currently based in Panama, he has an admiration for beautiful cinematography and a special love for top 10 lists (film or otherwise). Besides writing for Cinema Escapist, he has also contributed to publications such as Spill Magazine, The Playlist, and The Movie Buff.